Hello, my name is Kelly and I’m excited to introduce you to a creative and delicious catering service available. 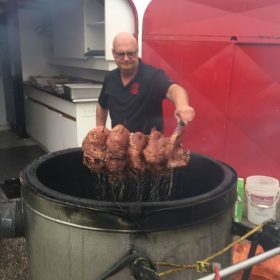 Merv’s Pitchfork Fondue has been proudly catering functions with mouth-watering fondued steaks in Manitoba since 1995! 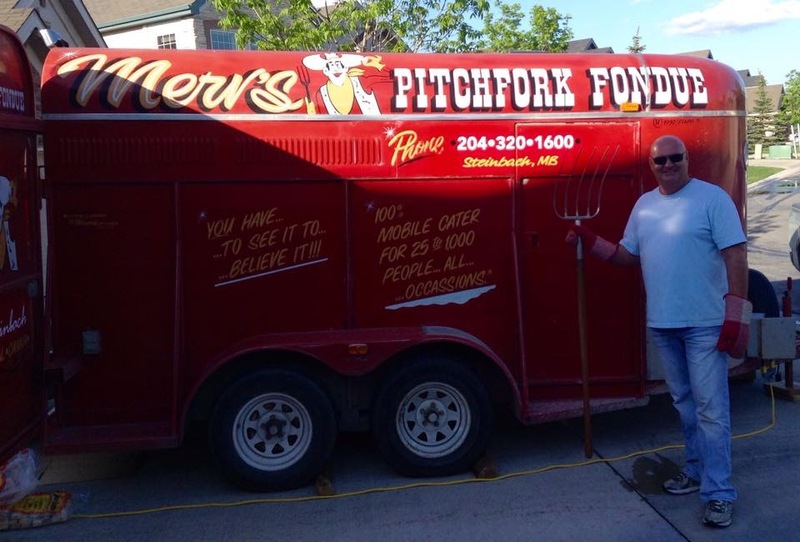 While traveling in the northern part of the province in the spring of 1991 Merv came across a small hotel that offered a pitchfork fondue. Well he had to try this out. He enjoyed the meal and was so intrigued by the concept that he decided to modify the idea and literally take it on the road. Merv spent a whole year developing the travelling forty gallon cast iron cooker and searching out generations old recipes. 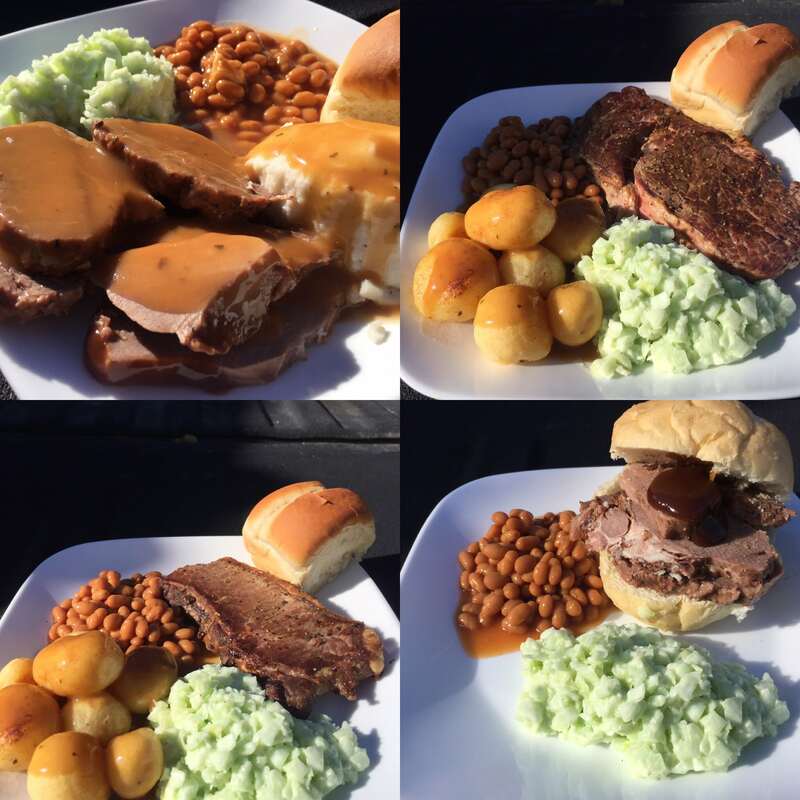 He is a Regina boy, and still does a bit of farming, so he knows what it takes to please a prairie appetite. All meals are made fresh from scratch. 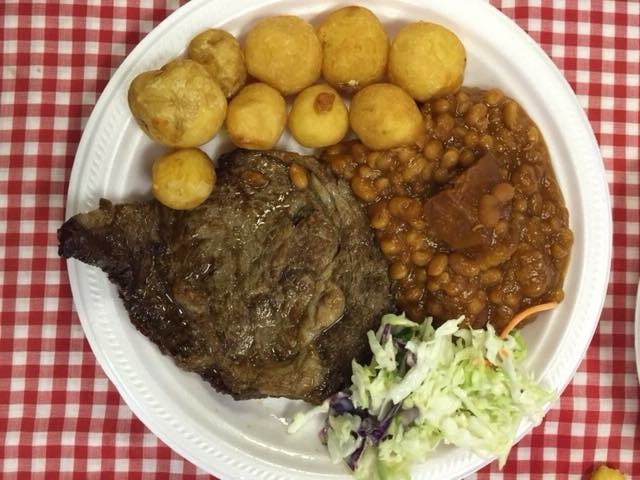 Merv insist on top quality beef steak. 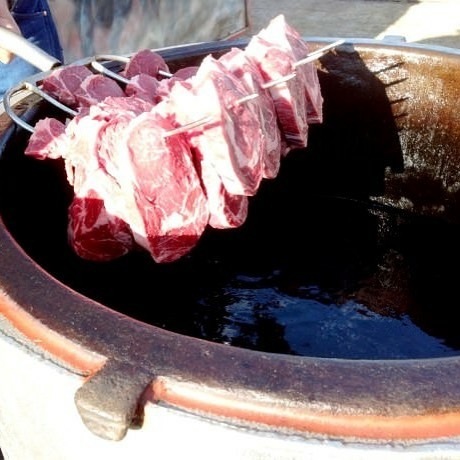 The steaks are fondued at 385 degrees in order to lock in the flavour and prevent the oil from penetrating the meat. We are able to feed a small gathering or a large crowd in pretty short order as it only takes a maximum of 3 1/2 minutes to fondue 25 steaks. 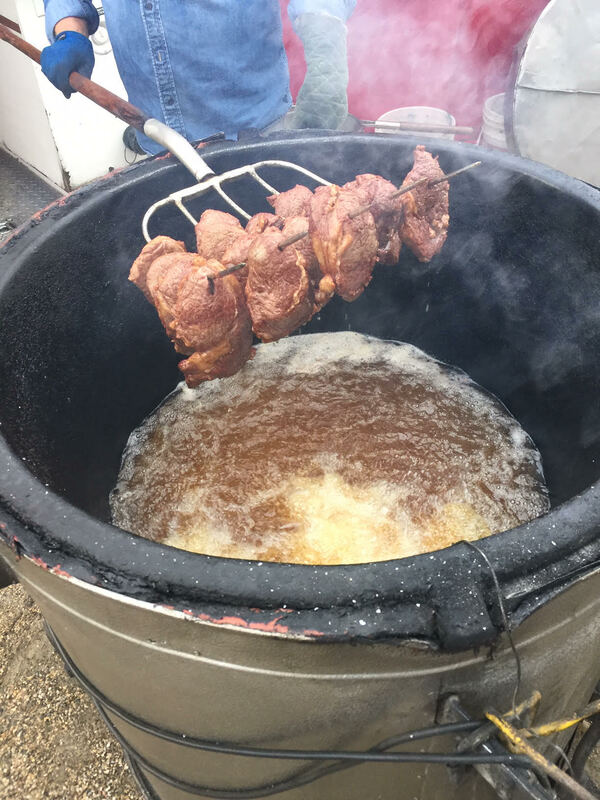 We invite you to experience the taste of a ‘pitchfork fondue’. Interested in our service? Contact us now and make your event memorable.